Cheating - not the real crime! I am a cricket fan and was hugely disappointed by the scale of England's loss to Australia in the recent Ashes series. There has always been an 'edge' in these confrontations but I got the sense that the sledging - banter - was nastier and the off-field issues heightened, such as the supposed Johnny Bairstow head-but! And so, when I watched Steve Smith's admission that the Australian team had cheated and tampered with the ball, I was not surprised at the arrogance that was displayed in the press conference. The act was premeditated, it involved the 'leadership' team and even worse was 'delegated' to a junior member of the team. Yes they were honest at the conference (after they were spotted by the TV cameras tampering with the ball) but were they truly contrite? It was as if someone had said, just apologise and it will all be ok. But an apology needs to be credible, it cannot just be words, there needs to be humility and an admission that their attitude and decision making is also wrong. 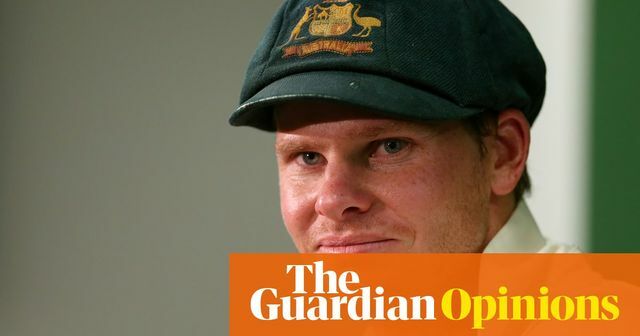 And there needs to be some indication as to their plans for changing their future behaviour - that is true leadership, something which Steve Smith did not show. Take the image of Bancroft and Smith speaking to the umpires, with the former producing a cloth he uses for his sunglasses rather than the piece of sticky tape covered in grit. They were just standing in the middle of a cricket match blatantly lying to the officials. That is such a bad look and hugely disappointing. So the Australian men’s team will now need to rebuild public trust from scratch. What must happen is a period of serious introspection. There are some fine individuals in the set-up, trust me, but as a team they need to re-examine how they play the game, along with their behaviour and image overall. Australian cricket will survive this and provided there is some honesty with the camp, it will hopefully emerge in better shape.